If you’ve never been to the Friday Café before – or even if you have – make sure you come along this Friday! 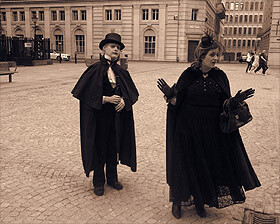 The historical theatre company ‘Love History’, famous for their theatrical promenade performances in the catacombs of St George’s Hall, will be bringing to life some of Liverpool’s darker history at the Café. 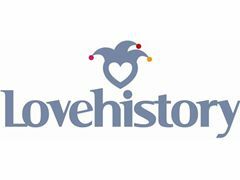 Come along and support this Café event – last year’s ‘Love History’ was a great success and very entertaining. KEEPING your home secure will be the focus of the latest community event at The Friday Morning Community Café at St David’s Church. The Friday Café, which we helped to set up using some of our Neighbourhood Fund allocation, has run successfully for more than two years. With our help, it has introduced a monthly community event on the first Friday of each month (excluding Good Friday), the first of which gave out around 70 information packs on keeping warm during winter time and helpful information on saving energy in the home. Trading Standards, Police, the fire service and housing officers will be on hand offering advice on keeping your home secure and how to protect yourself from doorstep crime and rogue traders. We hope you will be able to join us at the Café and we would really welcome your thoughts and suggestions for topics that matter to you for the coming months. If you have not been before, you will find it is very friendly, relaxed and a great place to meet new friends. The Friday Morning Community Cafe at St Davids Church Childwall has run successfully for over two years. The success has motivated the church to look at opportunities to expand the community facilities. With the help of Childwall Ward Councillors Jeremy Wolfson, Ruth Hirschfield and Frank Hont, the Friday Morning Café will now include a monthly event, on the first Friday of each month, for the benefit of the local community. The first event takes place on Friday 6 February 2015 10am – 12 noon. At this time of year it’s important for everyone to stay warm especially the elderly and infirm so we will concentrate on keeping warm and getting the best value out of the fuel used during winter time. As well as helpful advice there will be some packs to take away for practical use to help keep warm and using resources well. In future months the Friday Morning café are planning to feature dementia awareness, the credit union and debt, and the practical use of computers were people in the community are feeling excluded in their everyday life.